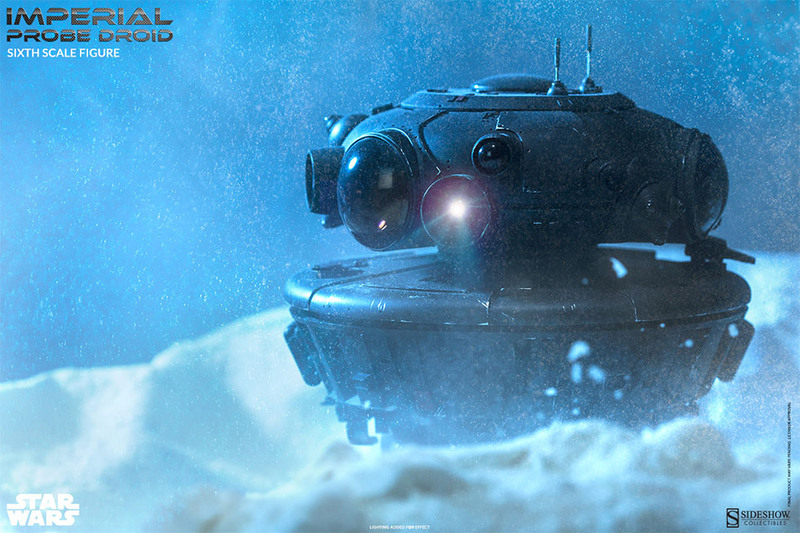 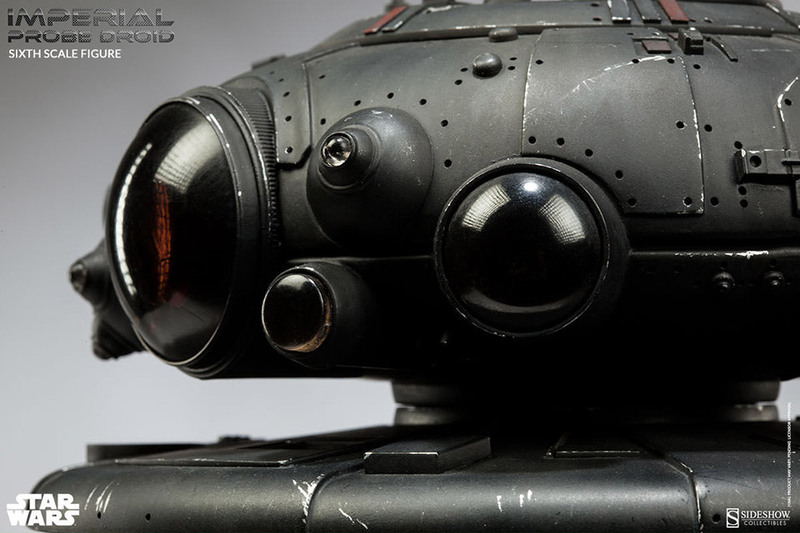 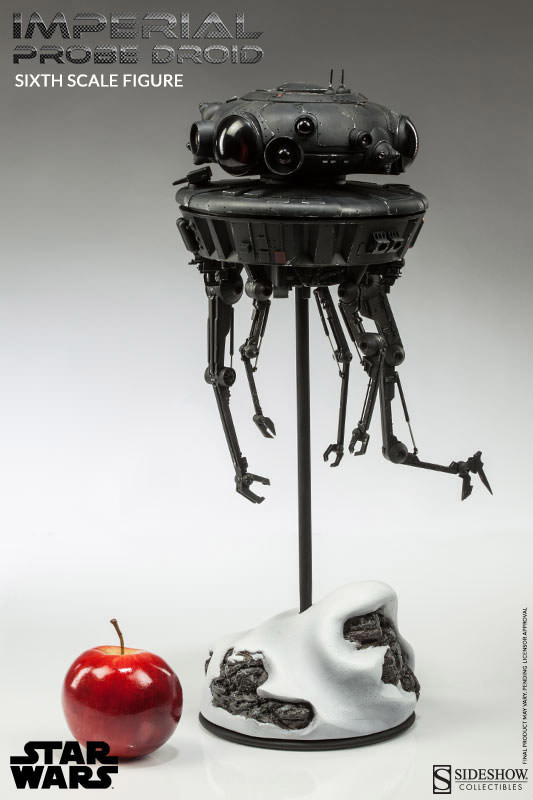 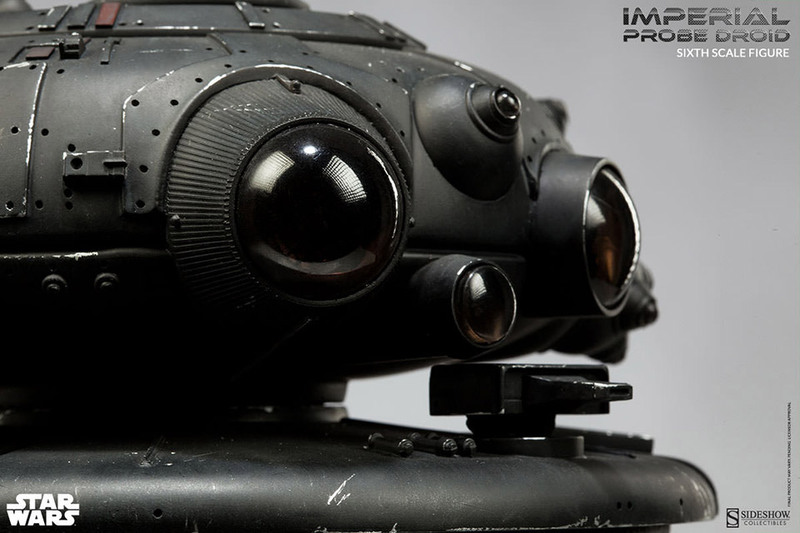 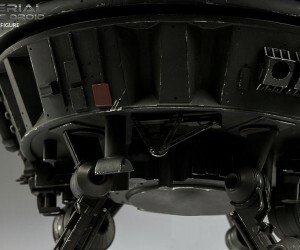 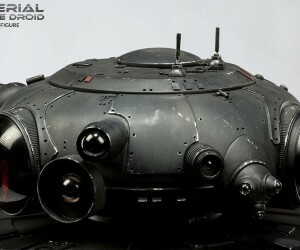 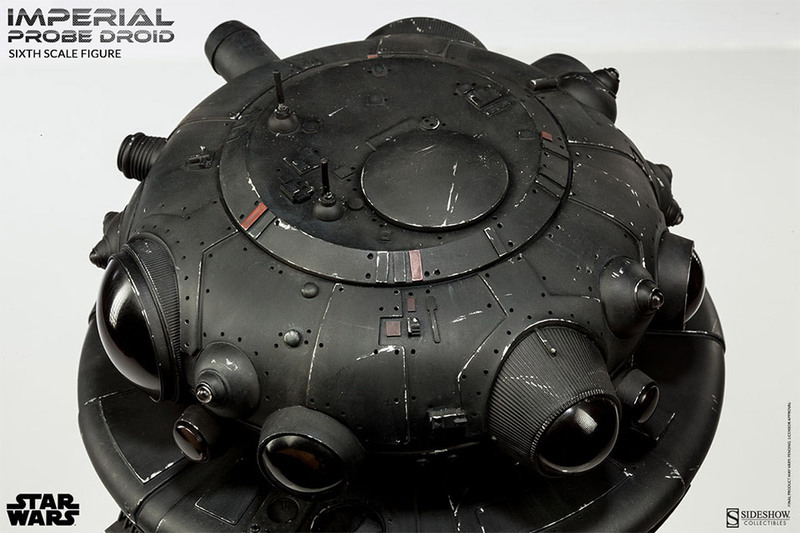 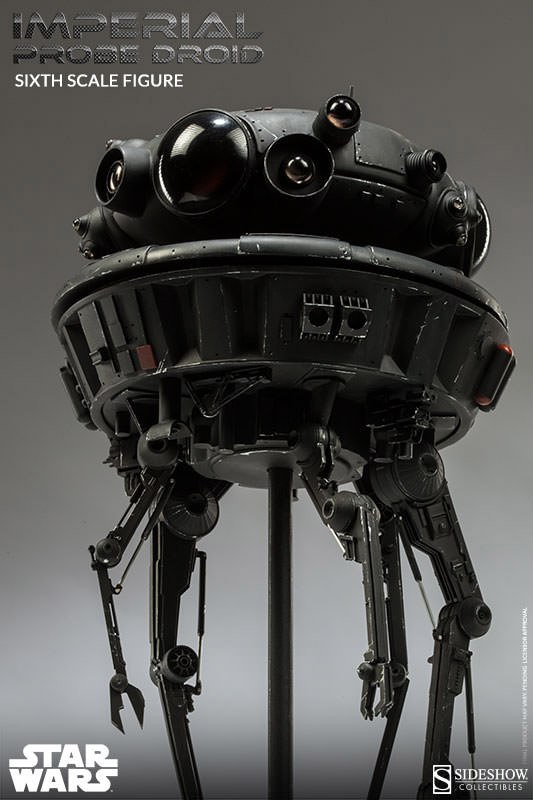 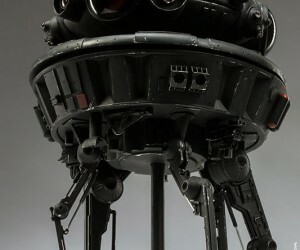 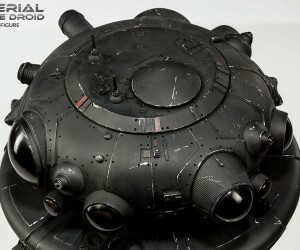 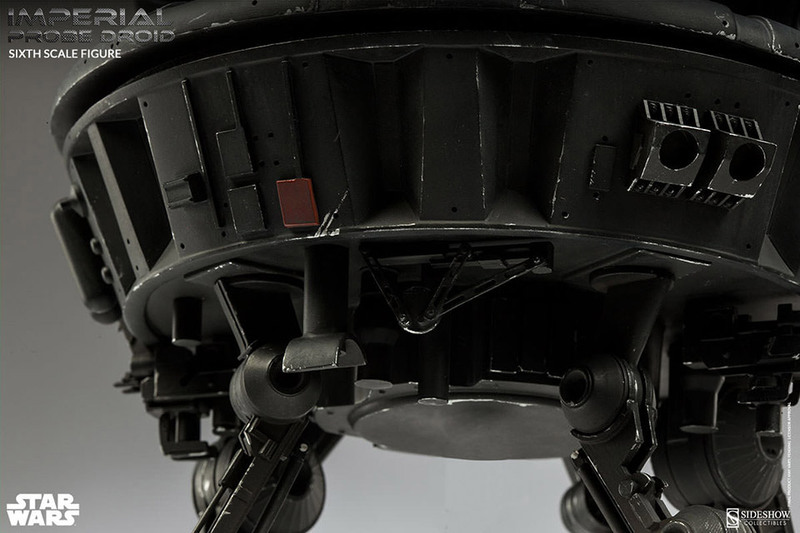 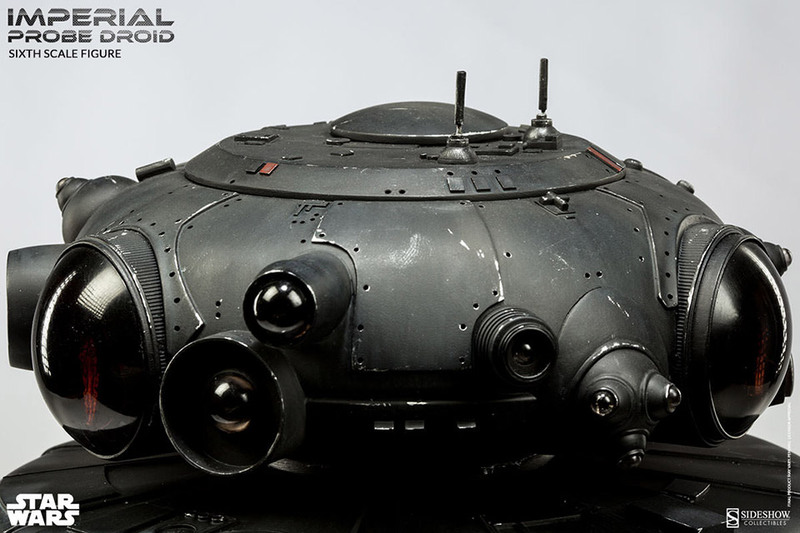 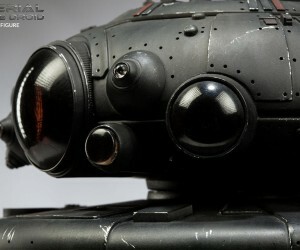 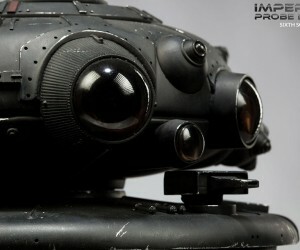 This amazing 1/6 scale Imperial Probe Droid collectible is available now for preorder from Sideshow Collectibles. 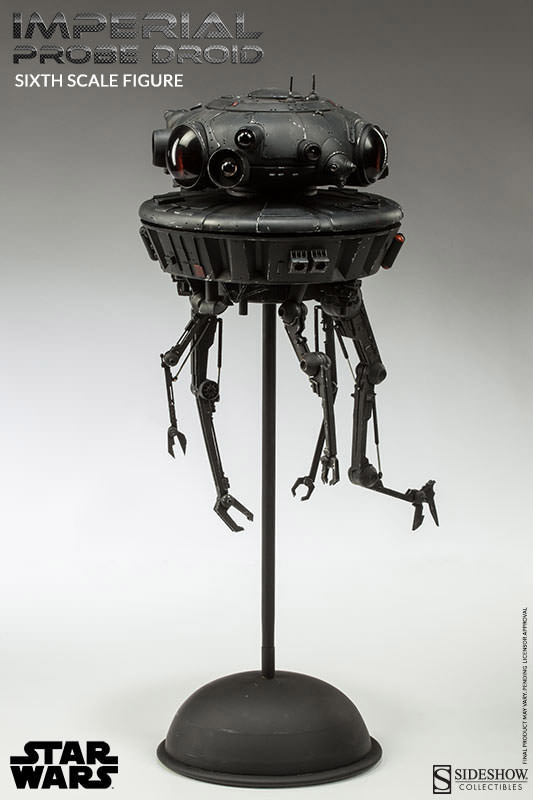 The figure stands 17.5″ tall and weighs four pounds. 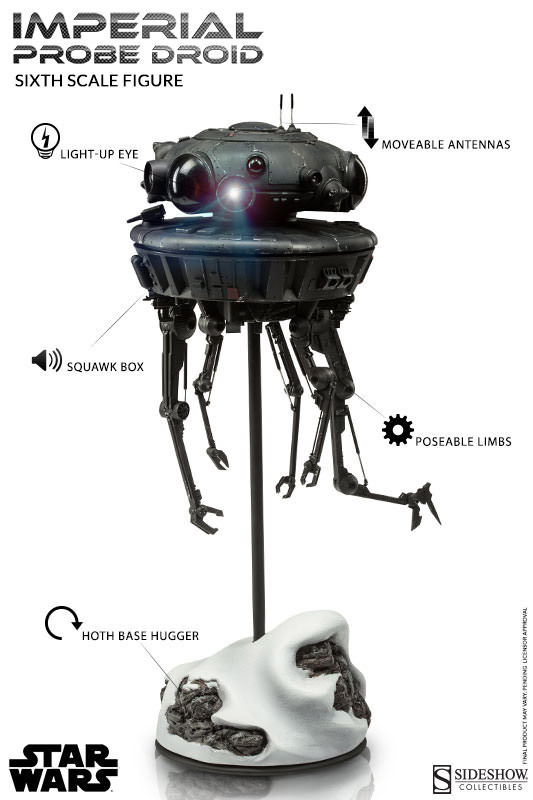 It has articulate legs, a light-up eye, emits probe communication sounds, has a blaster with articulation, and extending antenna and a removable sculpted Hoth base “hugger.” Astounding. 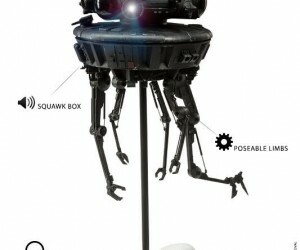 Put one of these in our office window on snowy days at let it search out the Rebels. 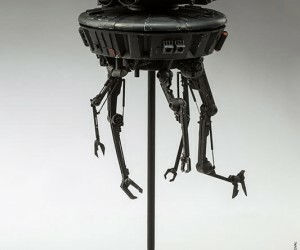 No word whether this droid also has a self destruct mechanism.